1. 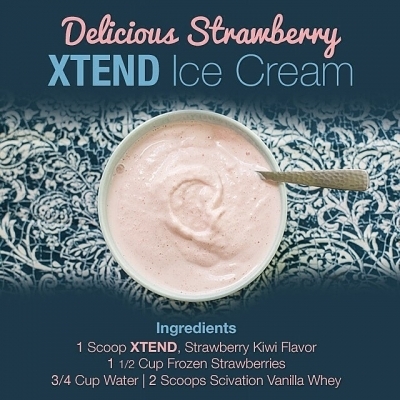 Mix the XTEND, Water, and Vanilla Whey in a blender. Ensure that there are no dry ingredients stuck to the side of the blender. 2. 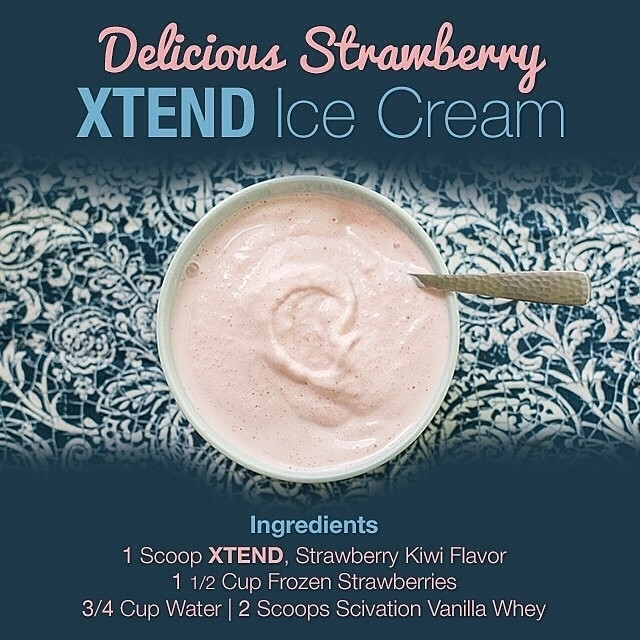 Now add the frozen strawberries, a few at a time, to ensure a uniform mixture. 3. The mixture is now ready to eat OR it can be put in the freezer for 20 â€“ 30 minutes for an extra frosty experience.